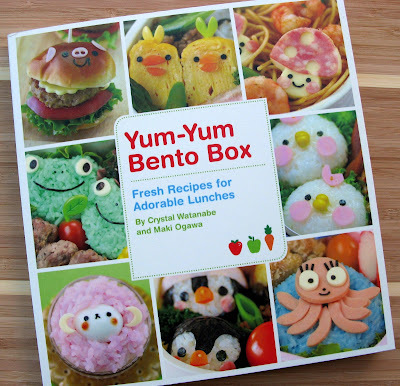 I fell in love with bento box lunches while ordering a replacement band for Coco's bento box earlier this week. Aren't they adorable? Originally, I got Coco's bento box just as a way to carry around her cereal and snacks. 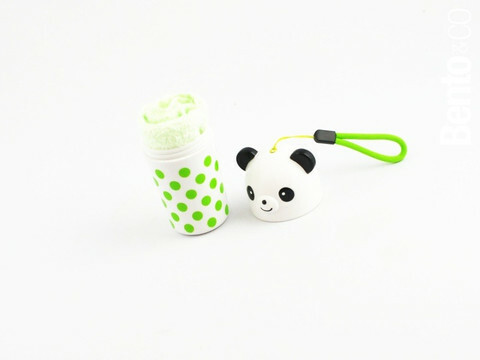 Making actually bento meals for her will be much more fun! 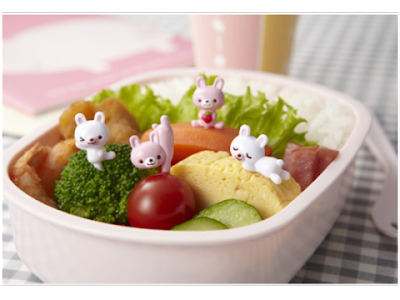 I love how bento box meals have a good balance of protein, fruits and veggies, and how it's all presented in the cutest and most appealing possible way. What toddler could resist?! 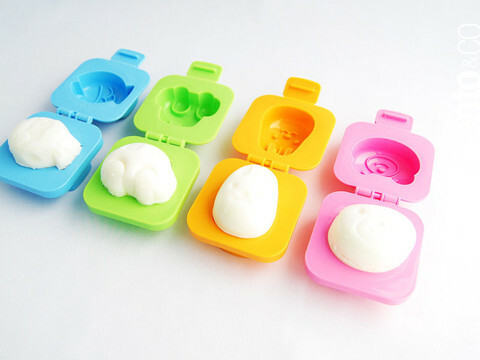 Egg molds to turn hard boiled eggs into a bunny or bear! 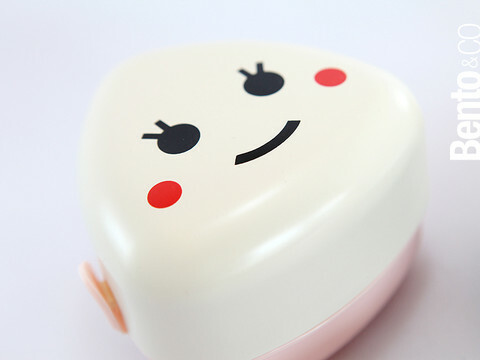 Small box with inner lid and upper compartment. Bunny picks for picking up fruit, little bites of omelette. Anything bite-size, really. Next order I plan to get some of the cutters to make star and heart and bird shaped fruits and veggies as well as the little silicone cups for holding each item separately. Maybe even some of the delicate plastic sheets that separate different items? The possibilities are endless! And, of course, I ordered this book already. Assembling bento box meals seems unnecessarily time consuming, doesn't it? 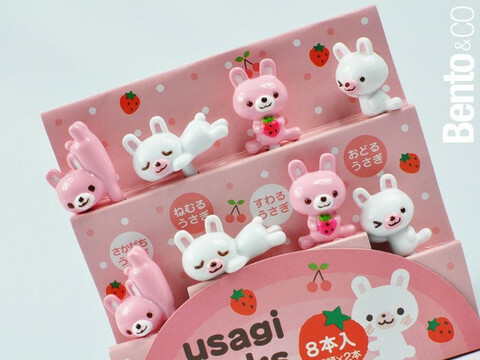 But if it's fun and you get to use little bunny toothpicks and make food into fun shapes, it seems like a good way to waste time to me! 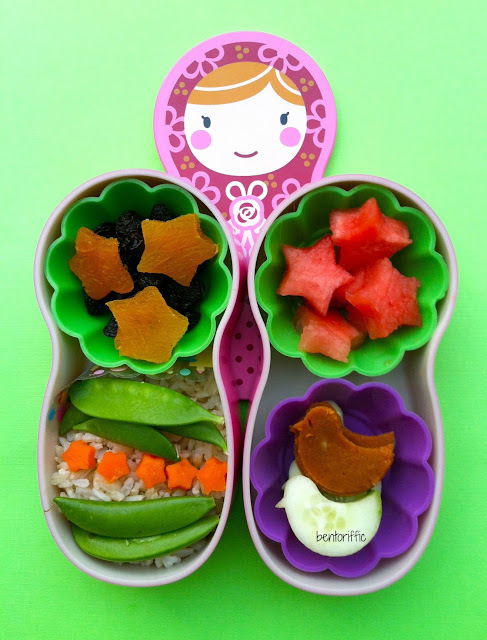 Would you ever make your child (or yourself) bento box lunches? Uhm, I would totally get these for myself! Those little bunny picks? TOO CUTE!!! Those lunches are over the top! WOW. I'm so happy to have stumbled over you blog! I was searching for people in Switzerland preparing Bento lunches and came across your site. 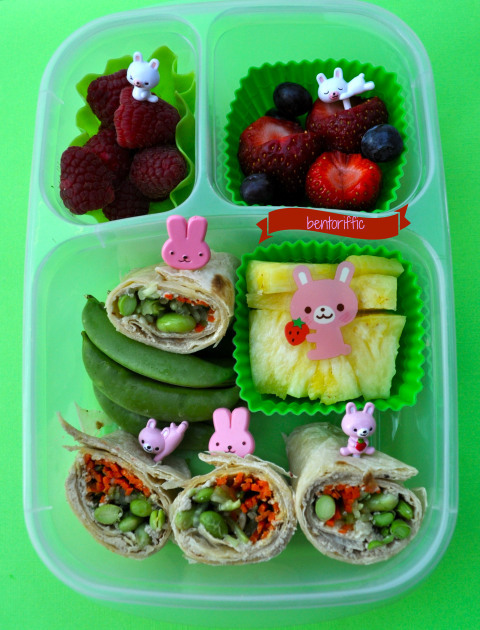 :) Your Bento looks lovely and I love those wraps filled with Edamame and other healthy and yummy veggies~ I'm located in Zurich and make Bento myself (but only from time to time..) looking forward to reading more of you!